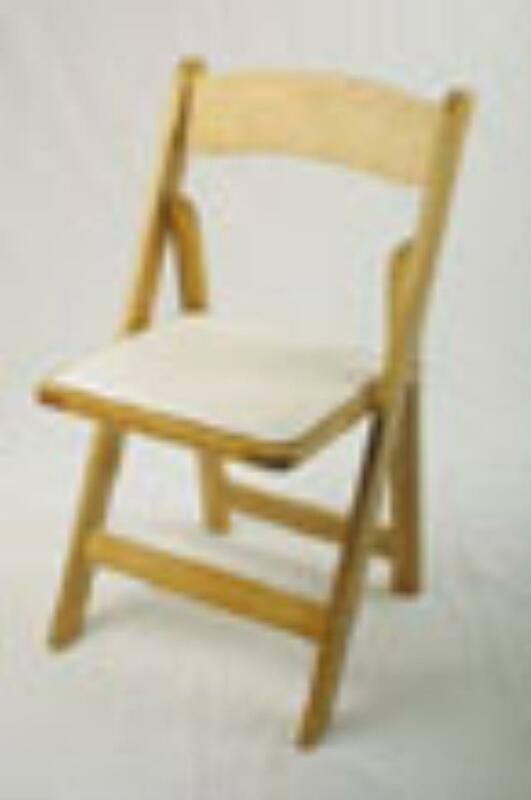 These natural wooden folding chairs are sleek, lightweight, strong, and comfortable. These chairs can be used indoors or outdoors and have a more stylish look than standard folding dining chairs. They are a natural stain, with a white padded seat. * Please call us for any questions on our chair wooden natural rentals in Boston, Somerville, Brookline, Cambridge, Malden, and Everett.